Interestingly, political parties in this election are already wooing Tibetans with posters highlighting pictures of the Dalai Lama. There are about 1450 Tibetan voters in Himachal Pradesh, a majority of whom live in Bir Billing in Kangra district. DHARAMSHALA: Tashi Tsundue is a Tibetan, but not from Tibet. Recently, the 38-year-old applied and got a voter ID card which made him a ‘complete’ Indian. With Indianness in his pocket, Tashi now likes to discuss Narendra Modi, Congress, GST, demonetization and corruption like any Indian citizen -- something he hadn’t done before. Tashi is among hundreds of new Tibetan voters who are all set to vote in the Himachal Pradesh Assembly election on Nov. 9. Though Tibetans did vote in the 2014 general election, this is the first time since 1960 that they will participate in an Assembly poll in the hill state where many of them live. While Tashi is looking forward to exercising his franchise in the hill state, there are concerns in the community whether getting Indian citizenship will compromise their freedom struggle. The Tibetan government-in-exile itself has not taken any stand on the matter and says it is the personal choice of an individual. “I got my voter ID in 2014 and voted for the first time in the Lok Sabha election. But this is going to be my first Assembly election. I’m looking forward to Nov. 9,'' says Lobsang Wangyal, who is into photography and also organizes the Mr Tibet and Miss Himalaya pageants in Dharamshala and McLeodgunj. After receiving his voter ID, Wangyal applied for an Indian passport. “I was born in India and I’m an Indian by birth. With my voter ID, I feel like a complete Indian. I call myself Tibetan-Indian,” the 47-year-old says. Wangyal’s parents hailed from Domo village in Tibet, close to the Doklam plateau. His father came to India in 1959 and his mother in 1962. Lobsang was born in Odisha and moved to Mussoorie, Shimla and Mcleodgunj and waged the legal battle for Indian citizenship for Tibetans. The rules allow all Tibetans born in India during 1950-1987 to get voting rights. There are about 1450 Tibetan voters in Himachal Pradesh, a majority of whom live in Bir Billing in Kangra district and about 220 in Dharamshala. Himachal has over 20,000 Tibetans. But not all Tibetans are in agreement with their people seeking Indian citizenship. “We did not come to India to settle down here. We hope that one day we can go back to our country. Citizenship of a foreign country takes away the very purpose of our freedom movement,” says Tenzin Tsundue, a prominent activist and writer, who says he never will apply for voting rights in India. “What people like Lobsang Wangyal do not understand is that once they obtain an Indian passport, they lose their right over Tibet. I don't understand this craze for an Indian passport. If I have to travel abroad, I can use my Identity Certificate. All Tibetans in India have Registration Certificates which they have to renew every year. Where is the problem? What more facilities can you get by obtaining a voter ID or an Indian passport?'' he wonders. The deputy speaker of Tibetan parliement-in-exile Acharya Yeshi Phuntsok said the choice of obtaining a voter ID, an Indian passport and becoming an Indian citizen is left to the individual. “We cannot dictate what they should do. It is their choice. When the Government of India and Supreme Court have said that Tibetans can apply for Indian citizenship, it is entirely up to them to decide,'' he said. There are 1.20 lakh Tibetan refugees living in India. Their largest settlement is in Bylakuppe, Karnataka. In Feb. 2014, the Election Commission of India ordered all states to include the children of Tibetan refugees in the electoral list. 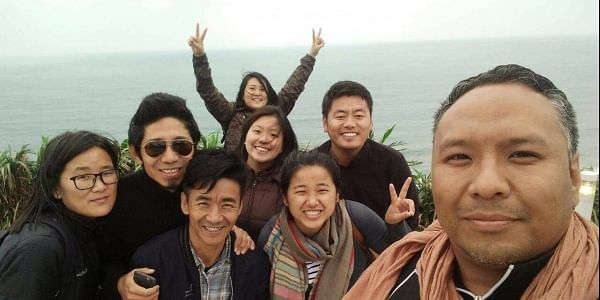 This was a first in 55 years of Tibetans living in exile in India. According to the EC order, children of Tibetan refugees born in India between 1950 and 1987, as mentioned in the Citizenship Act 1955, can be enrolled in the voters list. Article 6 of the Tibetan Charter for exiles says the Central Tibetan Administration (CTA) must ensure that the exiles must follow the rules of the land. As per the CTA, any Tibetan who holds the Green Book (tax payment to CTA) can take part in Tibetan elections and can even become the Sikyong or president of the CTA. The Tibetan parliament-in-exile based in Dharamshala is elected by 90,000 Tibetan voters spread across 53 settlements in India, Bhutan and Nepal.